Organizing is NOT my strong suit. But, our homeschool shelves stay organized ALL YEAR LONG. The challenge in homeschool organization has always been how to best store the resources we do have, and how to tame the massive amounts of BOOKS my family is prone to collect. We're blessed to have a dedicated homeschool room (this is new for us! ), with a large set of shelves that house everything we will use in the current school year. *Notice I said "in the current school year". This means I take a good amount of time at the end of the school year and throughout the summer to change resources for the following year. I ultimately believe that we can deepen our homeschools through simplification, and this starts with organizing our bookshelves! Before I get to the shelves, let's talk about the evolution of our schoolroom, because this was brand new to us this past year! In the past year we have been blessed to finish a schoolroom in our basement. Our basement schoolroom was finished on a budget - done very simply, but quite functional for us! We repurposed our very first kitchen table as a computer desk, painted some old kitchen chairs red, and bought a chair and shelves from IKEA. BOOKSHELVES to house everything for the year! I searched long and hard for the bookshelves... and I'm glad I agonized over the decision a bit because I'm so happy with how it turned out. Keep in mind, this organization can take place without a schoolroom, so please know that I've been there before and I want this post to be helpful to everyone! We purchased Billy Bookcases from IKEA. I can add to them in the future if need be. These bookcases have good depth and height. After using them for almost 6 months I can say I would purchase them again! And... they were easy to put together. A friend of ours and Grant put them together in just a couple of hours. I am intentional about what goes on these shelves. I choose a few good materials to be kept in the shelves. This helps us make good use of what we DO have, ultimately enabling us to use our time more wisely because we're not searching for resources! Resources that don't make the cut for the year are stored in Rubbermaid tubs. At a glance, here is how I organize the shelves. We'll go into each area in more detail, but this gives you an overview. At the beginning of the year I try to have everything available Anna will need for that level of Challenge. Then, as she needs a resource she will get it from her shelf. During the school year many of her books will stay in her room (where she likes to do her work) or in her crate that she takes with her to community day each week. I can't tell you how SIMPLE this was for us this year! I also keep MY Challenge guide on this shelf and any answer keys or helps that I might need. I don't know about you, but I have a pretty large collection of classics from my childhood. They live in this section of our bookshelves. This past year we immersed ourselves in The Chronicles of Narnia, so they were also here, too. I choose other books that might be appropriate for our year and put them in our shelves. Then, I'm not tempted to buy books mid year on a whim. If we're in need of a new read-aloud, I just go to the shelves! The temptation when kids get older is stop playing games with them. I love for the kids to play games and for us to have FUN in our school day, so I keep a few reminders out for all of us. These go on the top shelf. This past year my youngest, Grant, did the Veritas Self Paced History Course (and LOVED it!). We will be doing the Middle Ages self paced course this coming year. I purchase the recommended chapter books (leave out a few and add a few of my own!) that go along with the course and put them in the bookshelf. Then, when Grant finishes a lesson and is assigned a reading, he knows exactly where to find it. This has given him a sense of independence, and also elevates him to the level of his Challenge sister. Plus, he read some AWESOME books this year! *These books could be wonderful read alouds, too - I just choose to make them read alones since my son will be in middle school. For the coming year I will have the following books on our shelves. These also correspond nicely with CC Cycle 2. This section of the bookshelves is important in keeping my STUDENT organized. Saxon math books are stored here (in the shelf above the one displayed). Saxon is our math program of choice in the elementary and middle school years. My 11 year old notebooks through areas of our weekly memory work. Notebooking Pages has been an invaluable resource in our homeschool. It allows for independence and accountability, not to mention all that we learn through researching areas of the memory work just a bit deeper! Perhaps Grant's favorite notebook is his geography notebook. I print maps of all 24 weeks of geography memory work and then they are ready to be traced during the year. This has worked VERY WELL! 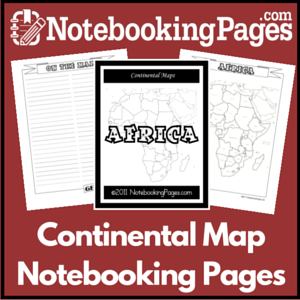 Here are some map tracing tips and tricks to get you started.... and our favorite maps by far are from Notebooking Pages! I require daily handwriting practice from Grant. We use the PreScripts curriculum. They go along with our history sentences. Again, it's something independent and effective that gets accomplished on a daily basis. As part of his daily routine, Grant listens to the timeline song and flips through the timeline cards. He uses the Acts & Facts cards to research for presentation topics. Just having all of this handy is so helpful! This shelf is stocked with books I'd love to see Grant just pick up and read .... sometimes this happens naturally and other times when I hear an "I'm bored, mom!" I direct him to this shelf! Again, keeping this stocked with a few good resources allows us to utilize those resources more effectively! Obviously we have a Bible on this shelf and any other devotion books we are using during the year. Our favorite missionary biographies are Christian Heroes, Then & Now. I stocked up on these at a homeschool convention a few years ago when they were on sale - a purchase I have never regretted! This year we learned A LOT about the heroes of our faith - both in a Sunday School class my husband and I taught, and also at home. If you want to add some MEAT to your homeschool day, I really recommend doing a study of Christian heroes! This shelf includes art, music, and poetry. Again, I try to compile resources that are of interest for the year. *The fine arts resources are used during our MORNING TIME and seeing the resources on one shelf helps me pick appropriately to put in our simple morning time basket. A few good geography and science resources go a long way! These are used for investigating our memory work a bit further, or looking for fun experiments to do! That's how we organize our homeschool shelves! How do you organize for the school year? Leave a comment below and join in the conversation! Also, be sure to visit other bloggers in the iHomeschool Network to see how they organize their bookshelves!